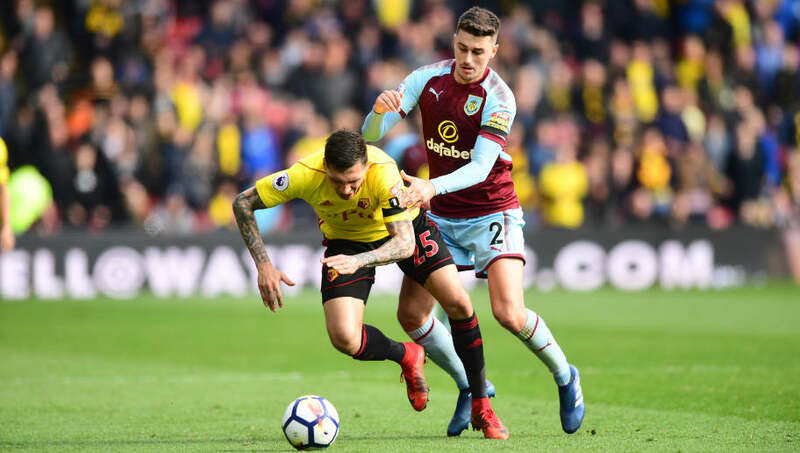 Continuing on with their early Premier League campaigns are Burnley and Watford, who will go head to head at Turf Moor on Sunday after a mixed set of opening results. Europa League qualification is still very much at the forefront for the Clarets as they aim to qualify, while the Hornets are looking for a major push up the table without an obvious threat up front. The Lancashire outfit were disappointed to only come away with a point from St Mary’s after a 0-0 draw with Southampton last weekend after an encouraging attacking display and a strong debut from Joe Hart but lacked the cutting edge in the final third to get the win. ​Watford have had a difficult summer after losing Brazilian star Richarlison to ​Everton, whom manager Javi Gracia was keen to keep hold of. It hasn’t been all doom and gloom for the Hornets as they managed to keep hold of several key players, with the likes of Adrian Mariappa and Abdoulaye Doucoure committing their futures to the club. A solid 2-0 win over Brighton last weekend saw the Hornets get off to the best possible start in front of their supporters, inspired by Roberto Pereyra, who bagged a brace, but ​Burnley will be a very different test for them and a tricky away tie is expected. The last time these two teams met in the ​Premier League, it concluded a lot of unanswered questions at that stage of the season. ​Watford led just after the hour mark through Roberto Pereyra after a fine goal but goals for Jack Cork and Sam Vokes, with the help of goal-line technology, helped Burnley to all three points, and one step closer at the time to Europa League qualification. The win meant they’d won four times on the bounce and, despite not having much of the ball, they came away with the victory. After his impressive start against ​Brighton, Roberto Pereyra will no doubt be in line to start again for Javi Gracia’s side. The Argentine looked energetic and lively, giving Burnley a good idea of what they can expect from him on Sunday. James Tarkowski will have his work cut out and will provide backup for Matt Lowton if the Argentine gets the better of his teammate. Brighton struggled to contain him as the former ​Juventus attacker found space in behind, and the England international may find Sunday difficult. Burnley will have a lot of tired legs after being forced into extra-time against Istanbul Basaksehir on Thursday and could be forced to rest a few first-team regulars, but it is something they will have to get to grips with very quickly if they qualify outright for the Europa league. Nick Pope, Robbie Brady and Steven Defour will miss the game due to injuries, so an unchanged side from the team that got a point against ​Southampton is expected. For Watford, Javi Gracia is expecting Gerard Deulofeu to be fit soon, but he's predicted to miss the trip to Turf Moor. Stefano Okaka, Tom Cleverley and Younes Kaboul are all still out, so a similar side to the one that faced Brighton is predicted. Burnley came out on top the last time the two sides met at the back end of last season but the situation has changed, particularly for the Clarets. With one eye on the Europa League game against Olympiacos on the horizon, there could be a radical change to Burnley’s way of playing that hasn’t been seen before. Despite looking positive from an attacking point of view against Southampton, they still failed to find the net which is a concern. Watford will be on a high after a perfect start to the season, and one where they were hardly troubled at the back with Brighton not offering a lot going forward. Gracia will have to decide whether to continue with the attacking prowess that his side showed last weekend or go for a more structured approach against a typically battling Burnley.